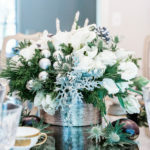 If you’ve been reading the blog lately, you’ll know that I’m in a Nordic mood right now. Chilly temps, piles of falling leaves, and early darkness have me wanting to curl up at home with a good book and a few candles burning. 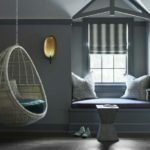 Scandinavian design is all about simplicity, natural lighting and textures, and channeling the concept of hygge, the ability to create coziness wherever you are. 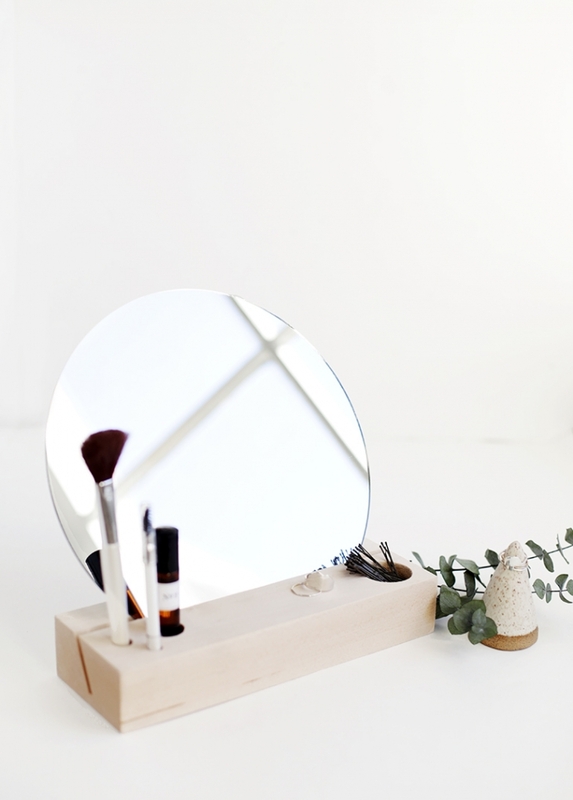 Today’s Weeken(DIY)s aim to recreate that clean-lined, pared-down Scandinavian aesthetic. Few things exude coziness more than a warm beverage served in your favorite mug. 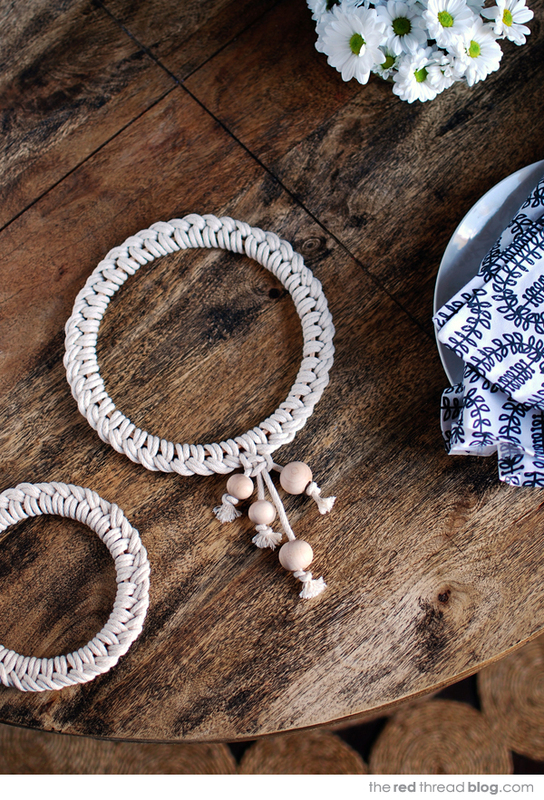 Protect your coffee table in style with this knotted macrame coaster via We Are Scout. 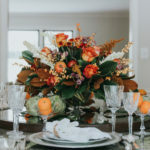 This DIY is as elegant as it is simple, and the process of weaving this item is sure to be a relaxing afternoon diversion. Bonus: The results are so effortlessly pretty that it’ll be impossible to make just one. 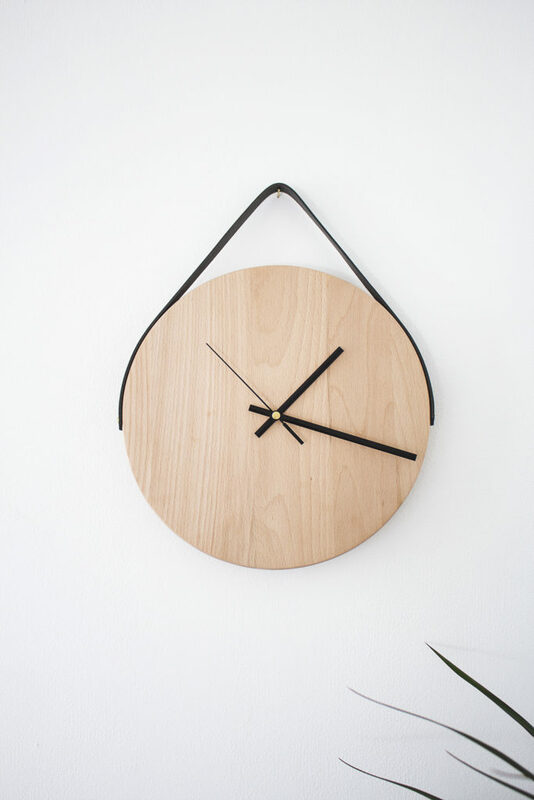 If you love crisp, neutral-toned walls, this minimalist wall clock by The Lovely Drawer is for you. Forgo classic numerals in favor of a swatch of natural grain, then fasten the clock to your wall with a chic leather strap. Tada, a beautiful and functional piece. 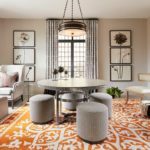 At-home pampering is key to feeling truly comfortable in your space. This beauty dock courtesy of The Merry Thought blends clean Scandinavian style with a wealth of utility. The design’s strength lies in its simplicity: a wooden block fitted with an unbordered mirror that lets its smooth, natural surfaces do all the talking. Keep the rest of the dock streamlined with clean, pared-down products.